I am a big advocate for modern English Bible translations. However, even though I am not a “King James Only” Bible person, I do think there is a good argument for hanging onto a copy of the King James Version for Bible study. 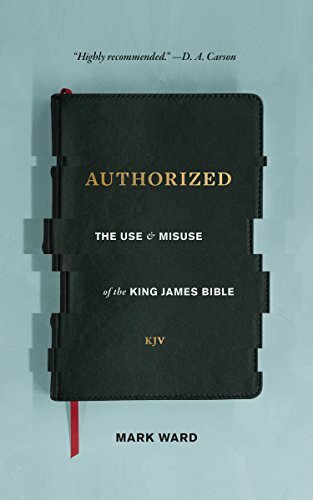 I read Mark Ward’s marvelous Authorized: The Use and Misuse of the King James Bible recently, and he makes a very gentle and persuasive case for using multiple Bible translations when studying the Bible. It is perfectly fine to have one Bible version as your “Go-To” translation of choice. But, if possible, we should make use of several versions when doing in-depth Scriptural study, to give us insight that our favorite translation might be missing. For example, some might be tempted to ditch the old King James Version, as one among your versions, due to its archaic language. But there is a good case for why you should hold off on doing that. As noted in my book review of Mark Ward’s book, the use of the “thee’s” and “thou’s” in the King James Version, might lead us to think that such language shows a special reverence for God, but this would be wrong. The problem has been accentuated in recent years, by the decision of those who produced the New American Standard Bible (NASB), back in the 1970s. The NASB kept the “thee’s” and “thou’s” with respect to referring to God, and ditched that language when addressing non-divine characters. Apparently, readers of the NASB liked the traditional language for God, so the NASB committee decided not to buck that tradition. As a teenager, the first church I started attending, after coming to have personal faith in Christ, was an Independent Baptist church. 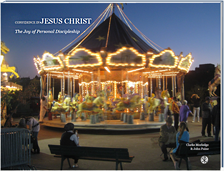 My closest friend at the time took me there, as it was known for its expository teaching from the Bible, something that was lacking in my more nominal Protestant upbringing. They also had great potluck suppers. It was the King James Version (KJV). The first phrase I got, as a 17 year old, but “I shall not want?“… I shall not want, what? Shall I not want the Lord to be my shepherd?? Ah, that made better sense. Because the Lord is my shepherd, I have all that I need.